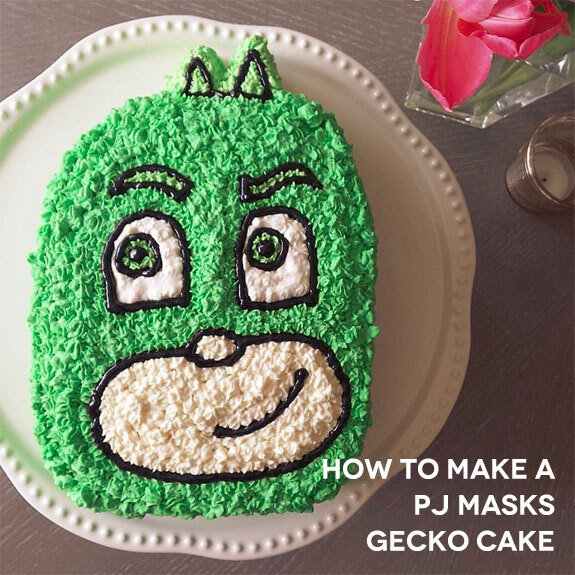 Violet loves Gecko from PJ Masks (it's part of her superhero play) and for her birthday I decided to try making a cut out character cake for the first time. It proved to be super fun cake therapy for me and she LOVED it. Some people were asking if I was going to put together a tutorial so here goes! And here are links to the whipped cream frosting, small star tip, and black sparkle gel I referenced; the other supplies (e.g., food coloring) are standard.